Mobile payment companies Payleven and SumUp merged in April 2016. The combined company now trades under the name SumUp. While existing merchants are not affected by the merger, we give a run-down of Payleven alternatives for those considering accepting card payments on mobile devices. SumUp sells its contactless SumUp Air terminal for £29 + VAT (Mobile Transaction readers get it for £19 + VAT here). This is a one-off cost with no ongoing contract or fees. The card reader looks stylish, sturdy and sits well on a counter. A 1.69% transaction fee is charged for all credit and debit card payments. Payment is received within 2-3 business days. SumUp Air is compatible with a range of Apple and Android phones and tablets, running a minimum of operating system iOS 8.0 for Apple or Android 4.4 and with Bluetooth 4.0. The app gives you the basic and slightly-above basic functions you need. For instance, you can create a product list with pictures and prices, issue receipts via email, text or print, review sales history, export sales history in Excel or CSV format and check payout dates. Pros: A good, basic, know-where-you-stand offering with competitive rates. Cons: It can take up to 3 business days to receive funds (international cards may take longer), although you can easily check the payout date and status via a dashboard. The new iZettle Reader 2 has an appealing look and feel. As with SumUp, it comes with no ongoing contract or monthly fees. 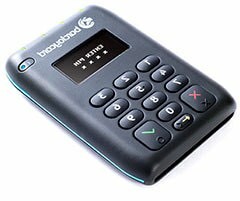 The card reader normally costs £59 + VAT (but you can get it for £19 here). It connects to an app on your mobile device via Bluetooth. You can get the charging dock pictured for an additional £39 + VAT. 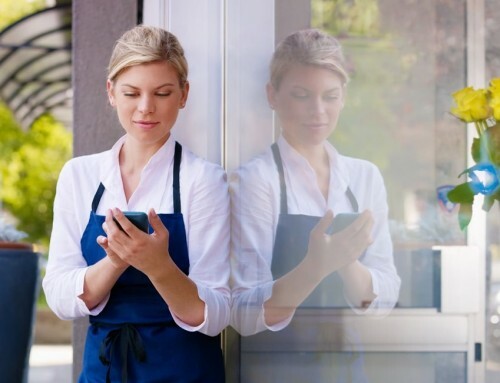 Their free point-of-sale system iZettle Go makes it more affordable than ever to dive into the world of cloud-based iPad POS. It accepts the widest range of cards for any pay-as-you-go payment solution in the UK: Visa, Visa Electron, V PAY, Mastercard, Maestro, American Express, JCB, Diners Club, Discover and UnionPay. The device accepts contactless and chip cards, as well as Apple Pay, Samsung Pay and Google Pay. Transaction fees are a fixed 1.75% for all cards. Payments are received within 1-2 business days in your bank account. 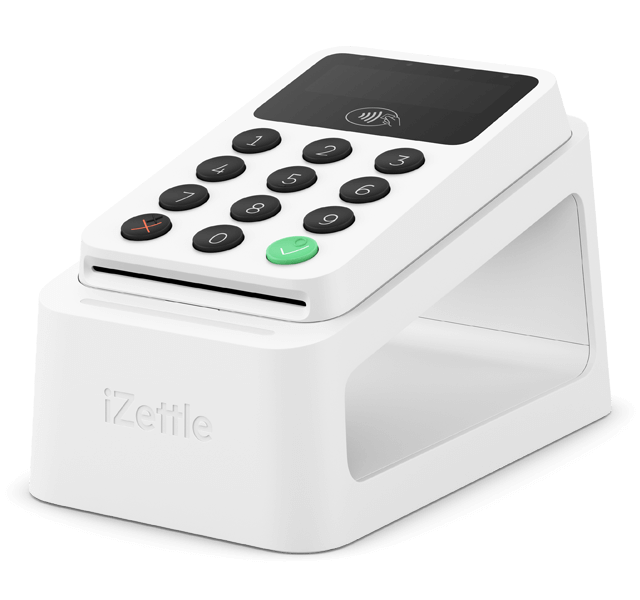 iZettle Reader 2 is compatible with a range of Apple and Android phones and tablets, running a minimum of Apple iOS 9 or Android 4.4. The app offers the basics (e.g. enter a sale, create products with pictures, issue receipts, review sales history), but also has more advanced features such as tipping, printing receipts to the kitchen and integration with accounting software Xero. It is possible to set up multiple staff or multiple devices to accept payment simultaneously. Pros: UK industry leader with constant improvements and features added. Ability to set up additional staff or devices as your business grows. Cons: Free phone support limited to weekdays. New features usually added to the iOS app first and takes longer to reach the Android app. 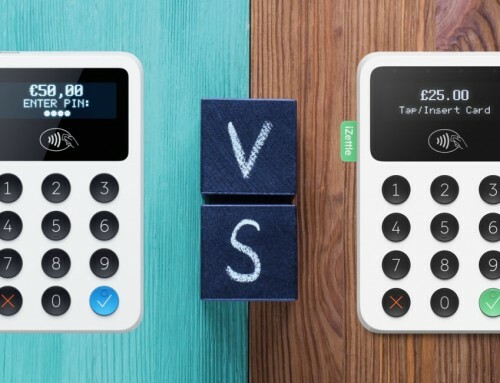 Square offers their contactless and chip machine – called Square Reader – for £29 + VAT through this link. This is a one-off cost, whereafter no contract or monthly fees follow. The card reader has no PIN pad, so PINs are entered on your mobile device’s touchscreen directly in the app. You just pay 1.75% for each contactless or chip and PIN payment. 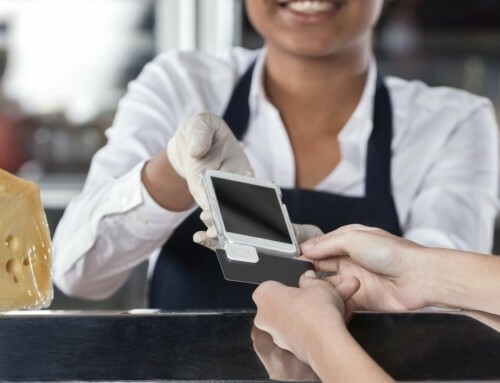 Swipe is also possible for international cards through the complimentary magstripe reader (connected to mobile device through audio jack) for 2.5% per payment. Key-in and invoice payments cost the same. Payments are usually received the next working day, but may take longer depending on your bank. Square Reader is compatible with a range of Apple and Android phones and tablets. For Android, your device must run a minimum of Android 5 and for Apple devices, at least iOS 9.3.5 is required. The app offers the most features out of all card readers on this list, incl. customer ratings through the digital receipts, split bills, key-in payments and staff timesheets. It is possible to take telephone payments through the virtual terminal in your browser Square Dashboard too. This is ideal for businesses based at home or needing to take deposits. Pros: Excellent POS app value for a simle transaction fee. Ability to manually enter card details in app and take telephone payments. Cons: No PIN pad on card reader, so your point-of-sale setup should factor in handing over the mobile device for PIN entry. 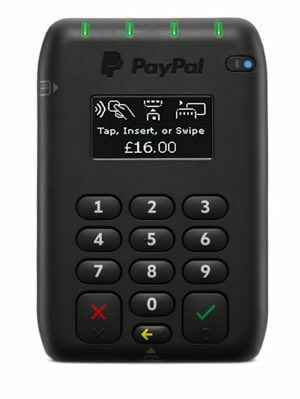 PayPal Here contactless card reader and PIN pad costs £45 excl. VAT (offers may apply), a one-off cost with no ongoing contract or fees. The rates and payment terms are the most complicated on our list of Payleven alternatives. There are different rates depending on how you process payments (contactless, chip or magnetic stripe). Cross-border fees also apply for non-domestic cards, and Amex and swipe cards are more expensive. 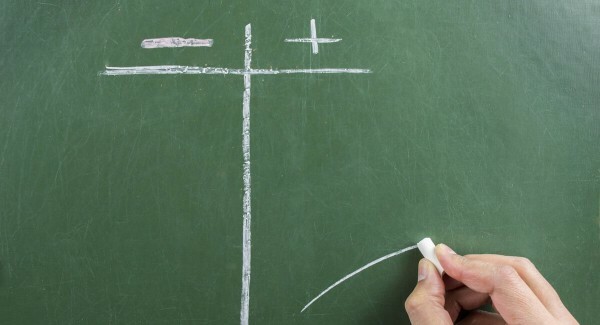 Transaction fees are charged on a sliding scale depending on your monthly sales volume. Rates range from 2.75% down to 1%, plus additional fees depending on card. It’s difficult to know when you will receive payment in advance of signing up, because PayPal operates a system of rolling and limited reserves. This is where PayPal holds back a percentage of your sales to cover their liabilities, and releases this only after a set period. The rolling and limited reserves are assessed on a case-by-case basis and communicated via email. The PayPal card reader is compatible with a range of Apple and Android phones and tablets, running a minimum of iOS 7.0 or Android 4.0. The app offers the basics (e.g. enter a sale, create a product list, issue receipts, review sales history). It is also possible to record cash and cheque payments, issue invoices, set discounts and add tips. You can also use online payment options for ecommerce and phone payments as a PayPal customer. Pros: Integration with online PayPal features. Cons: Rates and extra fees are unclear, especially if you accept a high proportion of foreign cards (e.g. from tourists). Payment terms complicate cash flow and budgeting. 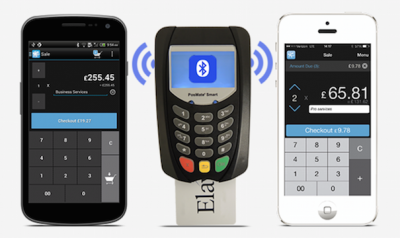 Elavon MobileMerchant’s PIN pad reader costs £79, which is a setup fee that includes account sign-up too. There are no monthly fees or long-term contract to commit to. Elavon is not very transparent about pricing. They prefer you phone them for quotes and terms, as well as signing up. We phoned them in March 2018, finding out they charge 2.75% for chip and PIN and contactless transactions, and 3.75% for keyed-in transactions. 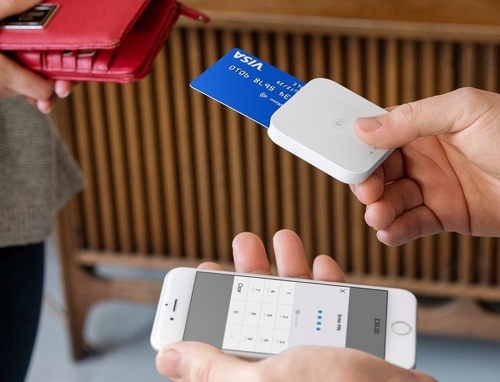 The card reader takes chip and PIN, swipe and contactless payments. Accepted cards include only Visa, Mastercard and JCB, and it takes Google Pay and Apple Pay. Payments are deposited to your bank account the working day after each transaction. The card reader is compatible with a number of Android and Apple tablets and smartphones running a minimum of iOS 9 or Android 4.1. The app offers basic features including tipping, VAT and discount options, reporting and receipts via email and text. It cannot be used for printing receipts. A virtual terminal is included in the web portal, so you can take phone payments at no extra monthly cost. Probably the biggest advantage is Elavon’s phone support. As the only terminal provider on this list, Elavon MobileMerchant offers a 24/7 support line. Pros: Phone support 24 hours a day, every day. Next-day deposits to bank account. Cons: Not transparent about pricing and terms online. POS app basic and rarely updated. Cannot connect to a receipt printer. Barclaycard Anywhere’s card reader is the same model as PayPal Here’s machine. It costs £60 + VAT, a one-off cost with no lock-in contract or monthly fees. It accepts chip and PIN, chip and signature, swipe and contactless payments from Visa and Mastercard only. Operating on a pay-as-you-go basis, you pay 2.6% per transaction for any card type, making this the most expensive minimum rate on this list. Refunds cost 75p to process. To use the card reader, you need a Barclays account for settlement, so it may only be worth considering this if you’re already their customer. Barclaycard Anywhere’s customer support is handled by the existing Barclaycard team. The card reader is compatible with a selection of Apple and Android devices running a minimum of iOS 7 or Android 4. The app, on the other hand, has not been updated for a year and a half and has become quite buggy since. The app only has the most basic features like sending receipts by email, issuing refunds and viewing your sales. Pros: Somewhat convenient if you’re already banking with Barclays. Cons: Very outdated, basic and buggy app. Only accepts Visa and Mastercard. Fees on the high side. 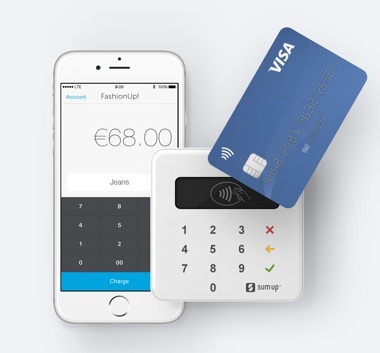 iZettle Reader 2 – what’s new? How can I accept credit cards on my iPhone?